Like us on Facebook to receive exclusive content straight to your feed! Thrihnukagigur is the only volcano on Earth, where you can descend to its interior. It’s a fabulous journey – deep underground you can find an enormous colourful magma chamber. Exploring it blew our minds! Jules Verne located the famous passage to the centre of the Earth in Iceland, exactly on Snæfellsnes Peninsula. 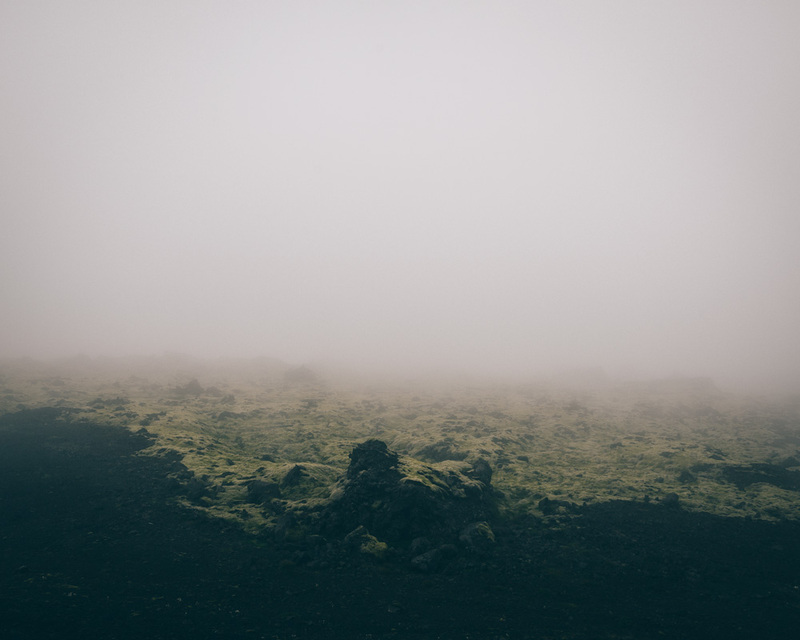 In the novel, Professor Lidenbrock, his nephew Axel and their guide Hans descend inside the volcano of Snæfellsjökull. It’s hard to believe, but such passage doesn’t exist only in his novel. What would you say about descending into a crater of a volcano? Sounds a bit surreal, but actually it’s possible in Iceland. A few hundred kilometres from the fictional passage you can find a real one. Very close to Reykjavik, there is the only volcano on Earth which interior can be explored. Thrihnukagigur (Þríhnúkagígur) erupted over 4000 years ago for the last time. You don’t have to worry that this stunning attraction will be gone with rivers of fresh lava, as it’s a dormant volcano. Nothing indicates that it will erupt in the near future. 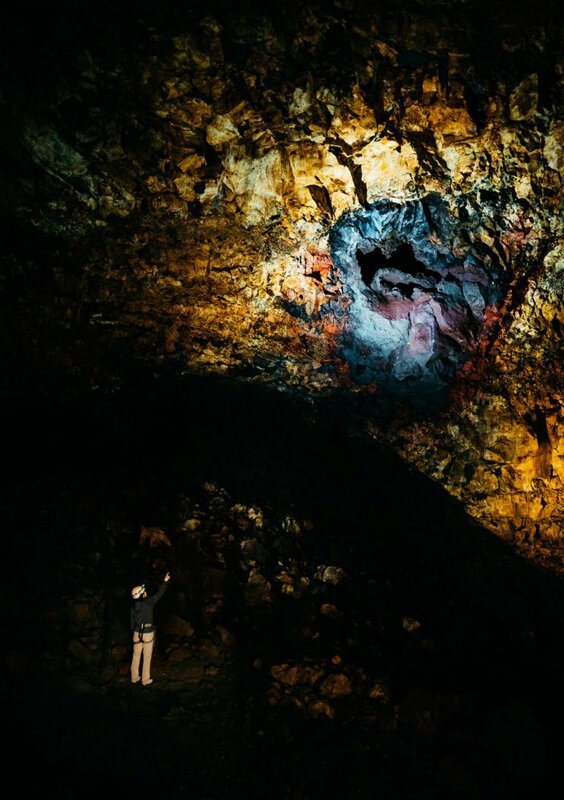 The magnificent magma chamber of Thrihnukagigur volcano was discovered in 1974 by Árni Stefánsson. He is a cave explorer and a famous Icelandic volcano expert. In order to investigate the volcano, he borrowed a ladder from the Reykjavík Fire Department. It was the longest ladder, which you could find in Iceland. In his life Árni has seen many stunning geological wonders, but Thrihnukagigur was different. It left him totally speechless and he didn’t want to leave the volcano only for a handful of scientists. It was among others his idea to open it for mere mortals which happened in 2012. Before you descend inside the volcano, you will have an opportunity to stretch your legs a little bit. A short hike is an integral part of the trip. The trail leads through a picturesque lava field. It’s a great warm-up and a real pleasure to walk in this breathtaking scenery. If you plan to go on this trip, you should bear in mind that weather conditions sometimes can be quite harsh here. 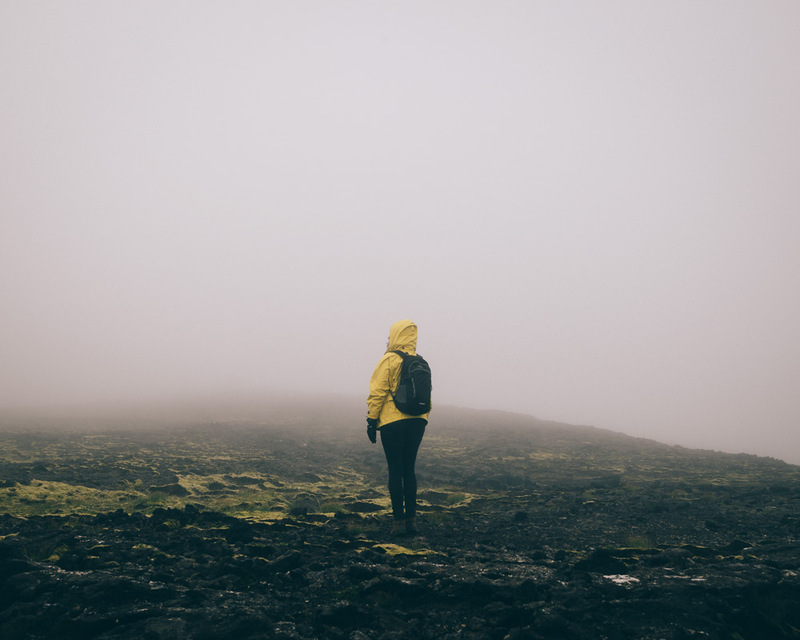 The volcano is located only 20 km away from Reykjavík, but the climate in this area is different. 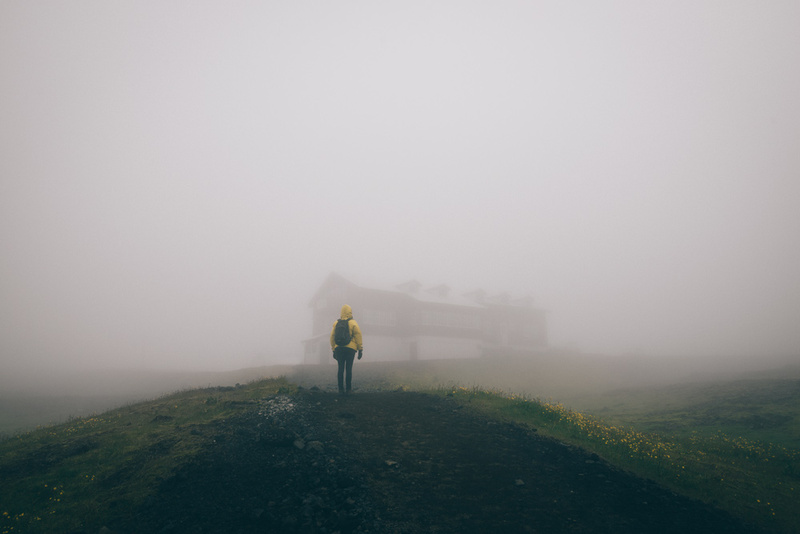 As you probably know Iceland is famous for its moody weather, but here it’s even moodier. We had a chance to experience it firsthand. On the way to Thrihnukagigur volcano we could enjoy fantastic weather. Everything changed when we were close to the volcano. At its foot wind went wild and thick fog showed up. When we left the chamber, we could barely see anything. Moreover, the wind was so strong that we struggled to walk forward. The lava field looked like a different planet, so mysterious but also so creepy. Visibility was so low that we almost missed our base, the only building in the radius of many miles. The building finally appeared when we were just a few steps ahead. Chamber of secrets: what can you find inside the volcano? Nowadays there is no need to use any ladder from the fire brigade’s collection. 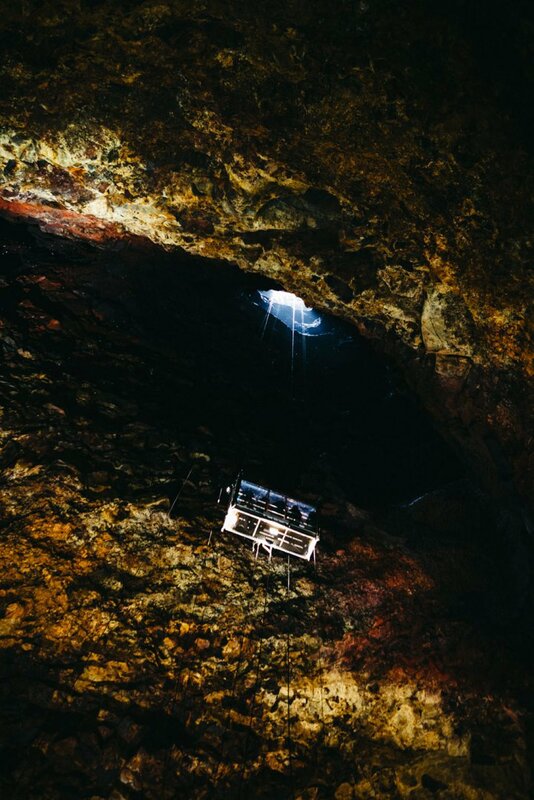 A small open elevator goes down 120 m inside the crater. This ride will definitely give you a thrill. In order to imagine how deep you descend, it’s a height of a 40-storey building. As you can see it’s not a size of any ordinary cave. This crater is gigantic! The elevator moves very slowly, so you have an opportunity to admire all kinds of miracles on the way. You will be impressed all the time, as the scenery is truly magnificent. There are dozens of puzzling shapes and plenty of unearthly colours inside. Reds, yellows, violets to name a few. A real colour symphony. The senses go crazy, that’s for sure. Apart from that, inside the volcano acoustic conditions are extraordinary. Don’t be shy, try to sing there. 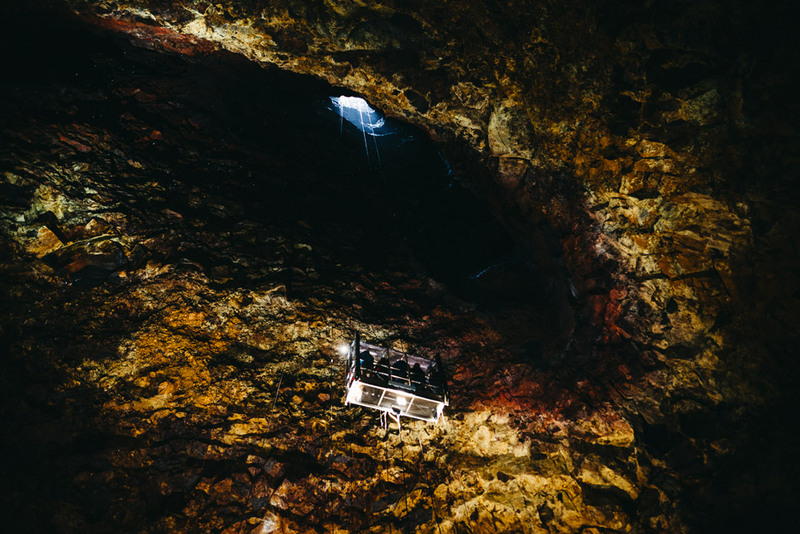 In 2015 an Icelandic band Kaleo, which is known for making their video clips in places not from this world, played a concert inside the volcano. It was quite an endeavour to bring all the instruments and generators down there. But this sound! Just watch the clip. 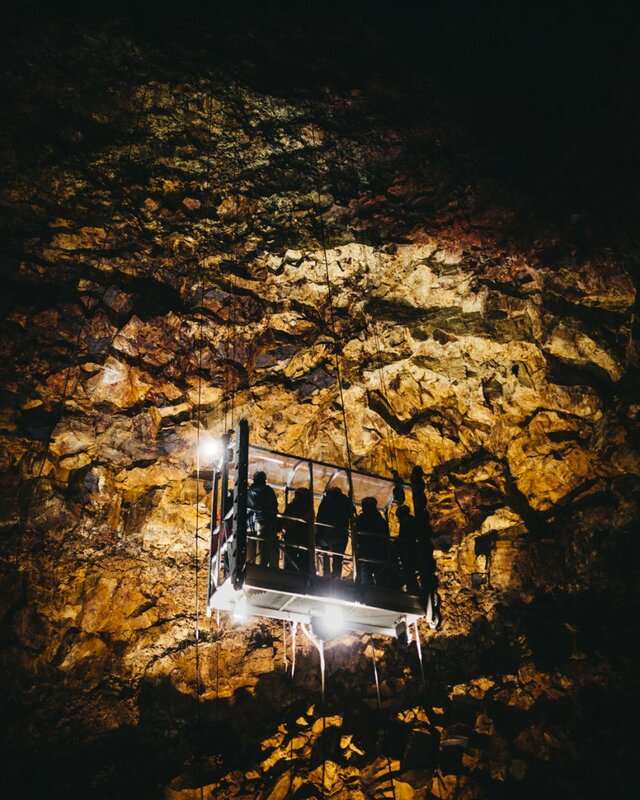 After a six-minute ride you are inside the volcano’s heart, unearthly, mesmerizing space. It’s here, where magma waits for the best moment to erupt. Magma chamber of Thrihnukagigur volcano is so extraordinary because the crater is still open. In most cases after the eruption magma chambers just disappear. Their interiors fill up quickly with cold and hard lava. No one knows what exactly happened here. We have seen a lot of Icelandic attractions, but the visit to Thrihnukagigur was a truly unique experience. Our expectations were very high, but what we found inside was more than outstanding. The icing on the cake of our visit was the fact that Adam had his birthday this day. It’s hard to find a more impressive place to celebrate. Thrihnukagigur is one of a kind, but how the heck do you pronounce it? When you dream about visiting Þríhnúkagígur you should know how to say its name. You will definitely impress your guide. We know that it can look like a big challenge, but give it a try. It’s not as complicated as it looks like. Just divide the word into three parts and say slowly: ‘Three-newka-gheegoore’. By the way, it means ‘Three Peaks Crater’. In Verne’s novel, the volcano had three craters as well. There’s more to the story here, don’t you think so? In ‘Journey to the center of the Earth’, Axel, being not a very adventurous guy, was very skeptical about the whole idea of descending inside the volcano. We’ve never been as soon as we heard that’s it possible. There is only one single volcano in the whole world, which you can truly explore. This adventure kindles the imagination and stimulates the senses as nothing else in this world. The tour is available: 10 May – 31 October. Trip’s duration: around 5-6 hours. Hike to Thrihnukagigur takes around 45 min. It’s a very easy hike – you walk mostly on even ground. Only the last 10 min you have to walk up hills. You spend around 30 min inside the volcano. If you travel around Iceland by car, you can come to the meeting point at Bláfjöll Ski Resort on your own. Clothes: Remember to take warm or rather very warm outdoor clothes. 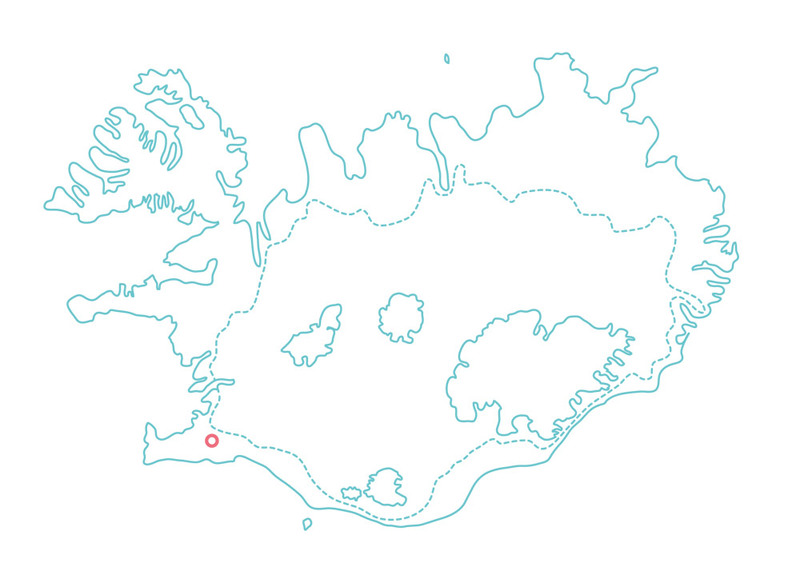 When you go there, don’t be fooled by fantastic weather in Reykjavík. This area is famous for its capricious aura – dense fog, wild storms, and downpours. Besides, the temperature inside the volcano is not very high, always around 4°C. You can borrow a raincoat at the starting point. Food: You don’t have to take your own food for this trip. At the starting point, you can have coffee or tea. After the visit very hearty and tasty lamb soup is waiting for you. There is also an option for vegetarians – vegetable soup. Booking: You can book a volcano’s tour on the website Inside the Volcano. Remember to book it in advance, as it’s very popular. You can find there also more practical information, among other things how to get to the meeting point. Did you like this article? Follow our blog on Bloglovin’! Hi! 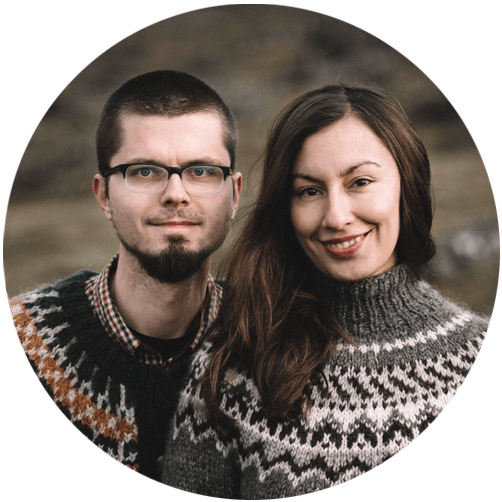 We are Adam and Marta Biernat, photographer and writer exploring Iceland. Ready for an adventure of a lifetime? 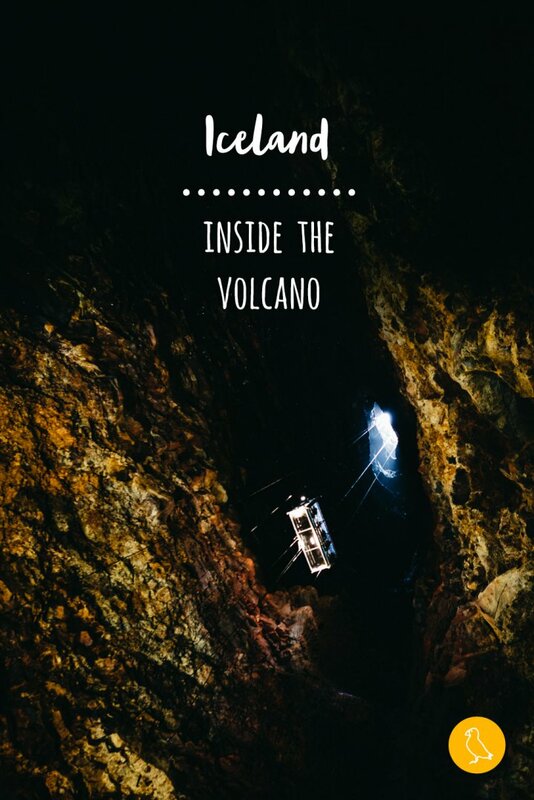 Bite into Iceland with us! Co powiesz na 10% zniżki? Lisek Bolli aż zamruczał. Zapisz się na nasz newsletter i odbierz 10% zniżki na Twoje pierwsze zakupy. Po przesłaniu formularza sprawdź swoją skrzynkę e-mail, również folder „spam”. Wyrażam zgodę na przetwarzanie moich danych osobowych w celach marketingowych. Zgoda jest dobrowolna, lecz konieczna, aby zapisać się na newsletter. Więcej informacji o tym, jak będziemy przetwarzać Twoje dane, znajdziesz w polityce prywatności. 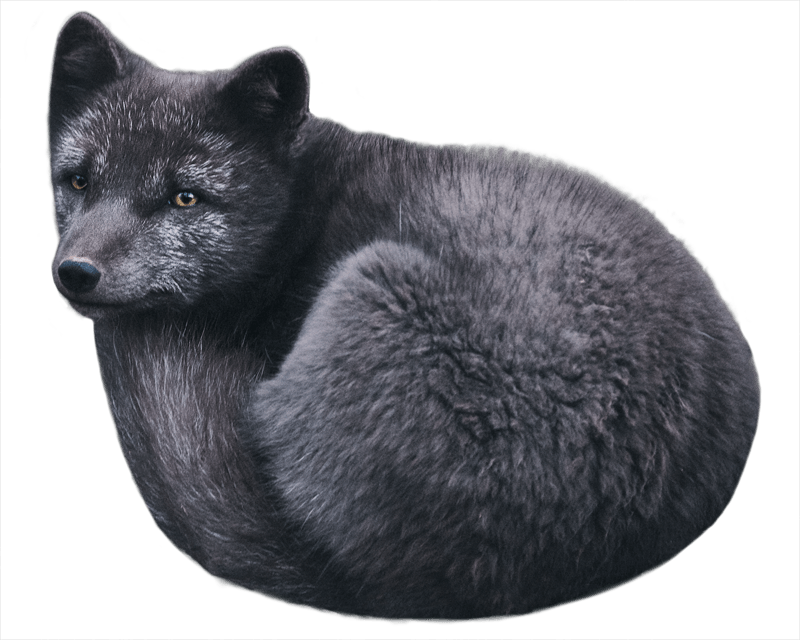 Make friends with our arctic fox Bolli :) Sign up for our newsletter and get 10% off your first purchase. After sending the form, check your inbox, spam folder as well.